Since this is the year for adding statement pieces to your interior, I would say that lighting is probably one of the easiest and most enjoyable ways to do this. Personally I love impact lighting. Whether it is a sculptural lamp or a dramatic chandelier, lighting is a practical way to add drama to a space. The great thing about lights are that you can really express your style through a well designed pendant (whether you are going minimal, art deco, over the top … the choices are endless). Lately I have been into brass again (see my recent post about brass kitchens) and so gold pendants have really been catching my eye. 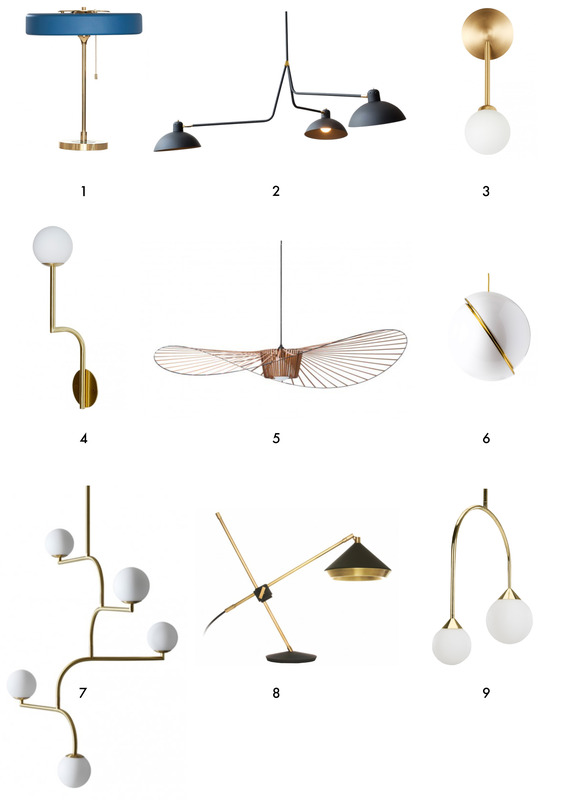 Take a look at my round up of impact lighting for the home! (The cover image is my Flos pendant light that I have above my dining table. It is super dramatic and such a statement in the house). This is so true and why I love lamps so much. They have come a long way. I love them all! Thanks for sharing the beautiful ideas.